How the hosta ‘Niagara Falls’ was created is the fascinating story of an artist with a love for family and her country. Olga Petryszyn, the world renowned hosta hybridizer who bred ‘Niagara Falls’, will speak at the meeting of the Western New York Hosta Society on Sunday, Nov. 10 at the Aurora Senior Citizens Center, 101 King St. near Oakwood, East Aurora. Doors open at 1:30 p.m. and the meeting starts at 2 p.m. The event is free. Petryszyn (sounds like patrician) talked to me in a phone interview from her home in Indiana. She came to horticulture via art school. She attended the School of the Art Institute of Chicago, where the man who would become her hosta mentor, Bill Brincka, was a professor who taught sculpture as well as environmental design and drawing. One day in the early 1980s, Brincka and his partner, Basil Cross, invited Petryszyn to their 25-acre mini-farm. He had planted a small hosta garden. 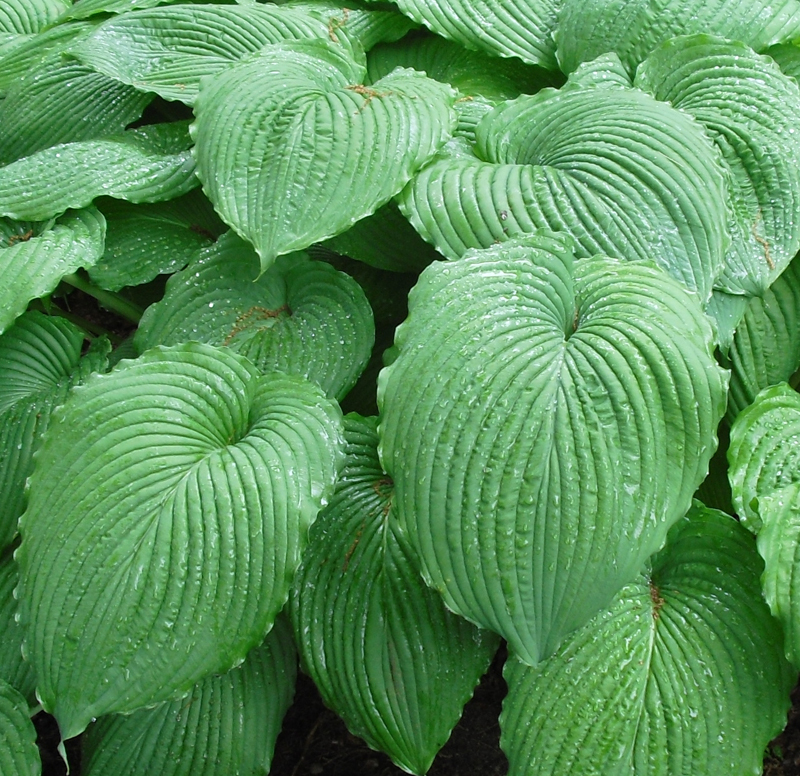 Brincka and Cross had the funds to buy any hostas they wanted, and they allowed Petryszyn to work in their garden hybridizing hostas– they were only a mile down the road. 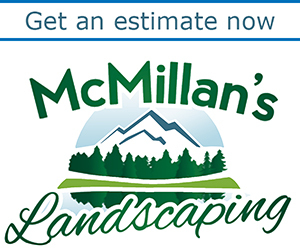 Within five years there were enough plants that she could work in her garden. ‘Niagara Falls’ came from one of the first crosses she made. That cross was between ‘Montana macrophylla’ and ‘Sea Drift’. Just as human parents have children that look different from each other, crossing hostas will produce plants that aren’t exactly the same. Petryszyn had many seedlings, but one stood out. Brincka was the one who suggested the name ‘Niagara Falls’, and Petryszyn said the name was perfect. It is indeed easy to envision flowing water in the shape of the leaves. ‘Niagara Falls’ won the 2012 Benedict Medal for Outstanding Garden Worthiness. 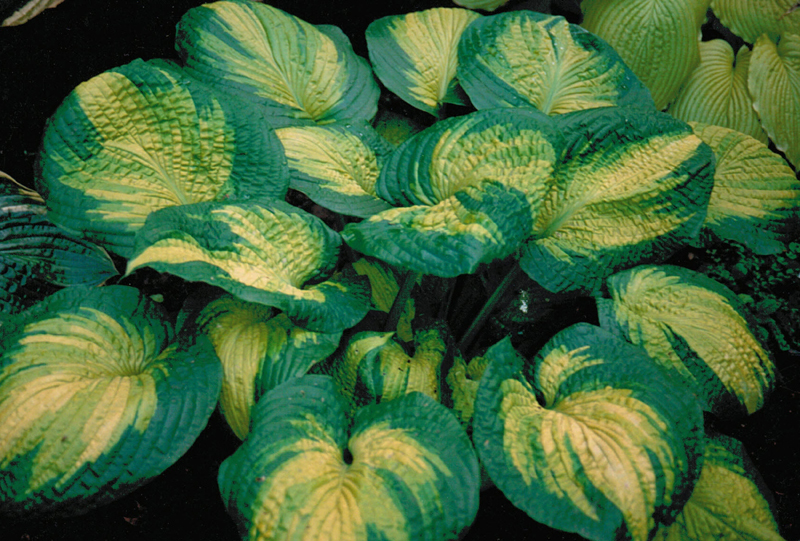 All of the names of her many hybrid hostas plants were chosen to honor Petryszyn’s family and country. Her parents were originally from Ukraine and were captured and held in slave camps in Germany during World War II before coming to the United States. 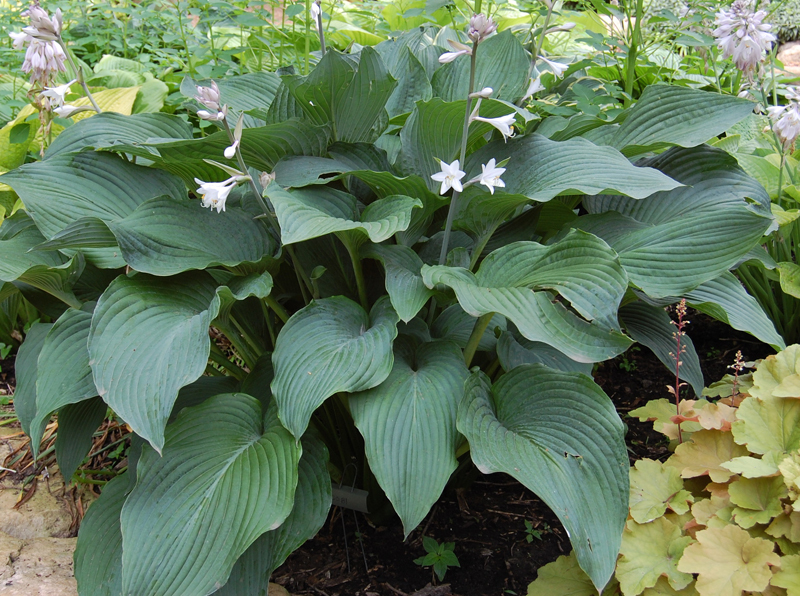 Earlier this year Petryszyn received the Eunice Fisher Outstanding Hybridizer Award from the American Hosta Society this year, and as part of the award she was allowed to declare which hosta is her favorite. She chose ‘Brother Stefan’, named for her brother on his 50th birthday. While Petryszyn is an award-winning hybridizer of hostas, her job as a real estate agent is what puts the cookies on the table, she said. What she makes as a hybridizer might just cover her gardening expenses. If you want to try your hand at hybridizing, hang out with other gardeners– you’ll need encouragement, she said. You also need artistry. And you need patience. She will grow a plant for eight to ten years before she registers it. She might have a promising plant that she just loves, but in year 5 or 6, she might find that the plant is weak or the variegation didn’t stay stable. 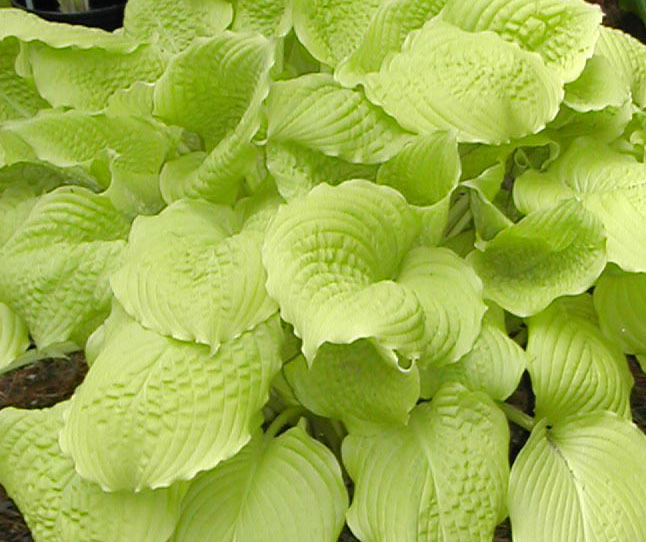 Why are so many people crazy about hostas? “In general, people love to collect,” Petryszyn said. They collect objects, and they collect plants such as day lilies and roses. 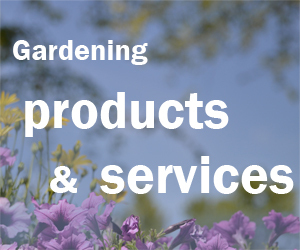 But hostas have many attributes that appeal to gardeners. 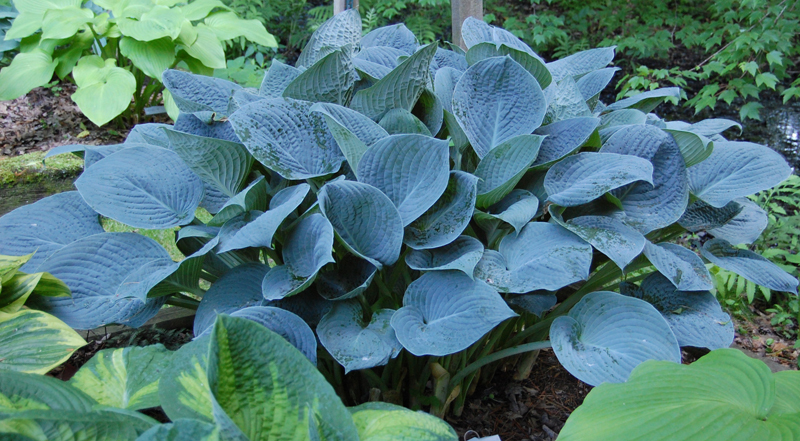 While hostas appeal to many gardeners because they’re great shade plants, there are some hostas that tolerate sun, she noted. Petryszyn likes how hostas look in the landscape. Thanks so much, Fredi. Olga has great stories to tell. It’s nice to hear from you. Love your weekly! Happy Veteran’s Day!